If you’re an avid viewer of alpine skiing, particularly the downhill discipline, then it will not be the first time you have heard the name Hahnenkamm. Finally, the perilous and outright terrifying downhill race is upon us. Fearless racers will risk life and limb hurtling down steep slopes, braving icy turns at 88mph and flying up to 260 foot on hazardous jumps such as the Mausfalle. 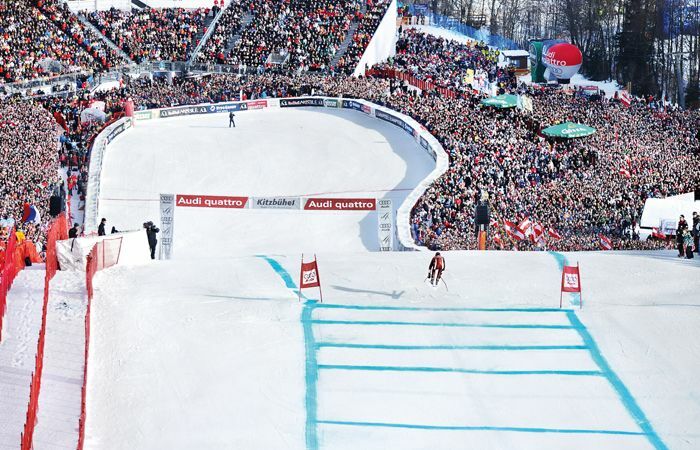 Kitzbühel is the home of this legendary race course and will be hosting Slalom, Super G and the famous Downhill from the 21st up until the 28th of January. However, whilst Hahnenkamm is not for the faint of heart, Kitzbühel itself is quite the opposite. Kitzbühel is situated in the Kitzbühel Alps in the wonderful Tyrol, Austria. The town of Kitzbühel is renowned as one of Europe’s most visually striking Alpine towns and has stood for over 800 years. Traditional cobbled streets wind through the medieval town centre, overseen by the 12th century High Gothic St Catherine’s Church with its beautiful towering spire. 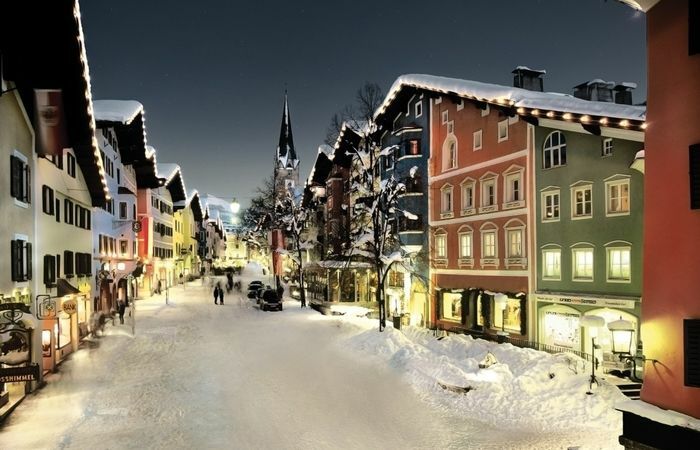 The town itself is dominated by centuries-old picturesque hotels, bars and restaurants all built in a traditional Austrian style; taking a stroll in Kitzbühel is like taking a stroll in a bygone Tyrolean town. We recommend stopping by the Gourmetrestaurant Kupferstube for some superb classic local dishes, and it offers great panoramic views of the surrounding mountains if you decide to dine on the terrace. Kitzbühel stands at around 800m and none of the surrounding mountains goes any higher than 2000m, this does mean that the snow coverage further down the mountain can suffer if the season is particularly dry. That said, Kitzbühel opened in October this year and there have been far more good seasons than bad ones. There is also a great amount of skiable terrain for its visitors; with 215km of groomed piste and a good amount of spectacular freeride, you won’t find yourself skiing the same runs repeatedly. The ski area is great for all levels of skiers but probably leans in favour of the intermediate to advanced skier; there are long blues around the Horn and nursery slopes at the base of the Hahnenkamm for the beginners. The more advanced skier can test their mettle on the steeper legendary runs of the infamous Hahnenkamm or, if the weather is right for it, some off-piste itinerary runs in Aurach, only a couple of kilometres up the valley from Kitzbühel. The ski lifts are fortunately not as ancient as the town and you will be pleased to know that the chairlifts and gondolas in the area are all modern and high-speed so you will be up and down the mountain in quick succession. 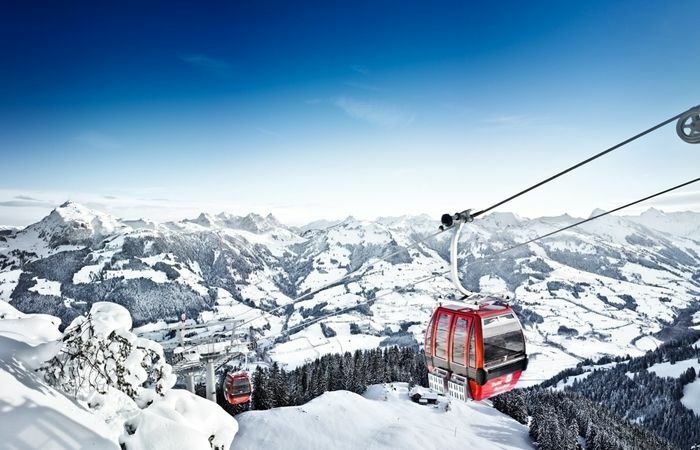 From the top of the lifts you’ll be able to; marvel at the wonderful backdrops, eat at restaurants with panoramic views and even watch the Hahnenkamm race (if you manage to find a spot!). 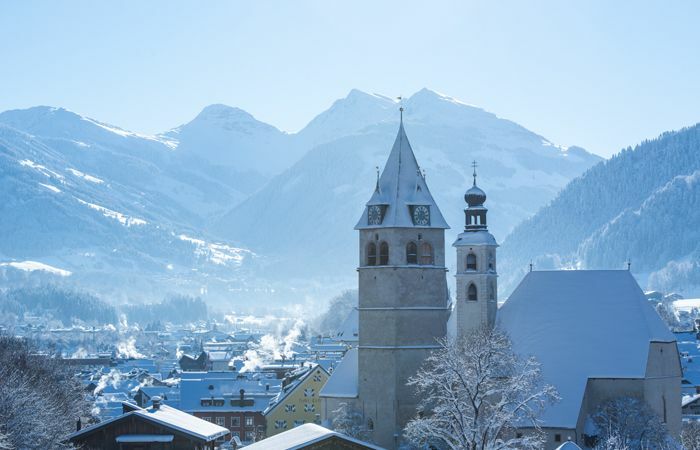 If you’re travelling to Kitzbühel this year for the big event or if you’re planning on going at a different time you are guaranteed to fall in love with this historic Tyrolean resort.